Moving is less of a chore when you break down the tasks into to-do lists. Woodland Moving and Warehouse is here to help you with our guide to make your upcoming relocation more manageable. It’s never too early to start making plans with your moving company. 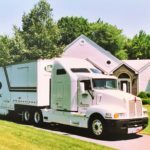 Start by receiving a free in-home estimate from one of our Certified Moving Consultants. Put in time-off at your job for the days surrounding your move and schedule a babysitter if needed. If you are moving to a new area, research banks, doctors, and schools. Gather all the proper paperwork you need to set up new accounts. Confirm that all paperwork from Woodland Moving and Warehouse has been signed and returned. If you plan on self-packing, begin packing items that aren’t used frequently. Seasonal items, rarely used gadgets, and items stored in the attic or basement are a good place to start. If you are moving major appliances, make sure that they’re cleaned, unplugged, and ready to go. Freezers need to be defrosted and you may need a professional to disconnect gas lines on particular appliances. Fill out an official change-of-address form with the U.S. Post Office. Dispose of all flammable items that can’t be transported (paint, chemicals, aerosol cans). Cancel all newspapers, home deliveries and set up delivery in your new neighborhood. Hire a cleaning company to come in and do a quick clean after the movers leave or schedule a day that you will come back and make sure that everything is clean and in place for the new owners. Consult your list of business and services and make address changes on all accounts. Check in with Woodland Moving and Warehouse one last time and confirm that everyone is on the same page. Follow our week-to-week planning guide to help you through the moving process and make it as easy a task as possible. It’s never too early to start making plans with your moving company. Start by receiving a free in-home estimate from one of our Certified Moving Consultants. 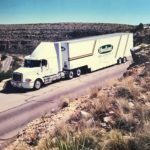 During this time you can discuss any plans, needs and concerns about your move with our consultant while we take an inventory of your shipment during the estimate process. Our consultants will provide a full education on the differences between “Insurance” and “valuation” during the relocation process, and explain your choices to you in detail. They will explain which questions to ask your homeowner or renter insurance provider about possible existing policy coverage for your relocation. Start a binder or folder where you can keep your moving estimate and moving-related paperwork. If you are moving to a new area, research banks, doctors, and schools. Gather all the proper paperwork you need to set up new accounts. Make a list of businesses you will need to contact in order to change your address. Don’t forget to list your online accounts too. If you plan on self-packing, get the packing process started by assessing your closets and getting rid of clothing that does not fit, or you no longer want. When the closets are done, start to assess items room by room. Begin packing items that aren’t used frequently. Seasonal items, rarely used gadgets, and items stored in the attic or basement are a good place to start. 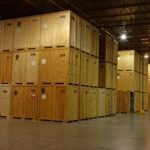 For your self-packing needs Woodland Moving and Warehouse offers free used boxes for all of our customers upon availability. Boxes are available for pick-up at our Headquarters in West Hartford, CT, so make sure to check with us before purchasing your own packing materials. Try to consume existing food from the refrigerator, freezer, and pantry. Refrain from doing too much grocery shopping or buying in bulk before the move. Do a first round of donations and unwanted goods to charity, sell items online or have a garage sale. If you have children, work with the current and future school to transfer school records and make plans for a smooth transition. Get the word out to friends and family members that you’re moving. Send them an e-mail with your new contact information or consider sending a moving announcement. Fill out an official change-of-address form with the U.S. Post Office. Cancel all newspapers, home deliveries and set up delivery in your new neighborhood. Consult your list of businesses and services and make address changes on all accounts. Put in time-off at your job for the days surrounding your move and schedule a babysitter if needed. Confirm that all paperwork from Woodland Moving and Warehouse has been signed and returned. Tie up loose ends. Confirm that you’ve changed addresses and are ready to make your move. Put together a packet for the new owners of your home with any warranties, vendor recommendations, and a note with your contact information in case they have questions or need to forward you mail. If you are moving major appliances, make sure that they’re cleaned, unplugged, and ready to go. Freezers need to be defrosted and you may need a professional to disconnect gas lines on particular appliances. Utilities should be turned off in your current home one day after your move-out date. It is helpful if utilities in your new home are turned on one day before your move-in date. Dispose of all flammable items that can’t be transported (paint, chemicals, aerosol cans). See if you have accumulated anything else in your “donate,” “pitch,” or “sell” piles. After more packing, you may have additional items to donate and should have one last pickup by your chosen charity, if needed. Back up all computers and have a plan in place for checking e-mail and paying bills online while your computer is in transit. Get each family member to pack a suitcase like they are going on a two-week vacation. Remember all toiletries and comfortable clothes for unpacking. Fill prescriptions and make sure that everyone has packed medications they need in their suitcase. Check in with Woodland Moving and Warehouse one last time and confirm that everyone is on the same page. Reconfirm the moving-day arrival time as well as cell phone numbers, email addresses and last-minute details. Hire a cleaning company to come in and do a quick clean after the movers leave or schedule a day that you will come back and make sure that everything is clean and in place for the new owners.